Hotline Miami 2: Wrong Number Now Available on PS Vita! Hotline Miami 2: Wrong Number follows the same gameplay elements that made the first Hotline Miami so succesful. Players will have to strategically plan their attacks and learn the maps in and out. 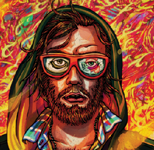 Hotline Miami 2 features larger maps which make gameplay more challenging. There are also different characters and masks to play with that add a unique experience for every level in Hotline Miami 2: Wrong Number. Hotline Miami 2: Wrong Number is available now for purchase in the PlayStation Store for the PS Vita, PS3 and PS4. Will you pick up Hotline Miami 2: Wrong Number? Let us know below!